Athletic Business, founded in 1977, is a monthly publication with high-quality editorial content and wide coverage of all aspects of facility planning, marketing, equipment, liability, operations and management topics. Columns include: Sports Law, College Sports, High School Sports, For-Profits, Military and Recreation. SchoolFacilities.com is a leading facility management web site that delivers the best of facility design, construction, maintenance and management knowledge to professionals responsible for providing safe, comfortable and modern education facilities for students of all ages. The Vancouver Island Advanced Technology Centre (VIATeC) is the conduit that connects people, knowledge and resources to grow a successful technology sector on Vancouver Island. 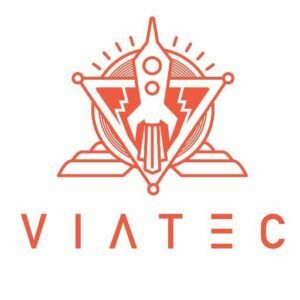 Now located at the Vancouver Island Technology Park, VIATeC was founded in 1989 to promote and enhance the development of the advanced technology industry on Vancouver Island. With only a handful of known technology companies, the ambitious mandate to facilitate the development of Vancouver Island as a global centre of excellence for advanced technology was set. Founded in 1946, CPRS is a non-profit, professional and public interest organization with close to 4,000 members who create community by providing recreational experiences to individuals, families and communities, by fostering human development, promoting health and wellness, all while increasing cultural unity. CPRS is the source of resources, tools, advocacy and events that strengthen California’s public parks and recreation industry and our professionals. CPRS unites members and creates networks across disciplines and agency boundaries to achieve together what we cannot do alone. The Canadian Parks and Recreation Association is a national voluntary-sector organization dedicated to realizing the full potential of parks and recreation services as a major contributor to community health and vibrancy. Our members are parks and recreation professionals represented in over 2,600 communities in Canada. We work closely with 13 provincial and territorial parks and recreation associations and collaborate with a host of other national organizations operating in the recreation, physical activity, environmental, facilities, sports, public health, crime prevention and social services arenas.